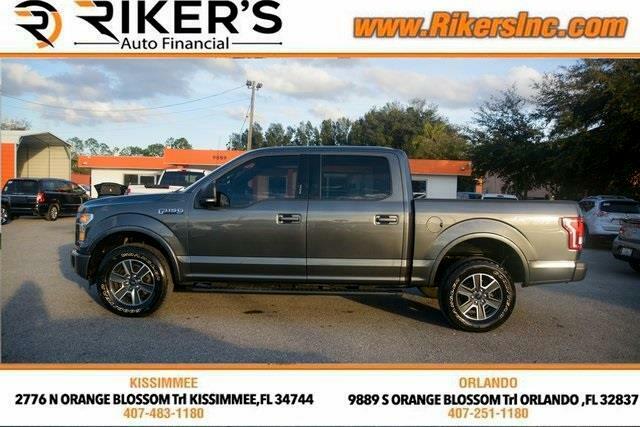 Gray 2016 Ford F-150 XLT 4WD 6-Speed Automatic Electronic 5.0L V8 FFV 4WD. First time buyers welcomed! Best program in Central Florida. Bad credit, no credit, no problem. Everybody rides! Trade-ins welcomed. We have one of the largest inventories over 100 cars to choose from. Best price is cash Price is plus tax, title, tag, documents stamps, & dealer fees. Please see dealer for details. For more information visit WWW.RIKERSINC.COM.